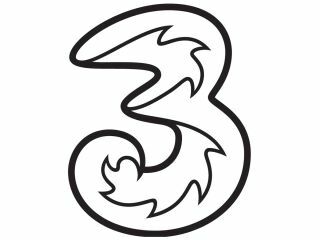 3 is taking Orange to the Advertising Standards Agency over its claims it has the widest 3G network coverage in the UK. The network is dismayed at Orange's claims that it has the largest 3G network in the UK, with the France Telecom-owned company spending £4 million on letting the country know this fact ahead of its iPhone launch. TechRadar spoke to 3 about the issue, and it said that while this wasn't a spat between it and Orange, it was worried that consumers were being given the wrong idea about network reach. "It's no surprise consumers are being confused about coverage. Right now each operator chooses a population coverage measurement that suits it. We currently claim 92 per cent coverage," said a spokesperson for 3. "We could use a measure used elsewhere in the industry that would boost our claimed population coverage to 95 per cent in an instant, without reaching a single extra customer. We're happy to open up our network to a third-party to judge. "We'd like to see a common standard applied across the industry, to give consumers a more realistic picture of 3G coverage available to UK consumers on all networks. We believe that we have the biggest 3G network in the UK, both in terms of geographic and population coverage, built on a 9,192 site network that grows by around 150-sites each week. But these claims should be independently verified." "The figure that 3 has published shows that we have a greater 3G population coverage than they do. We think that's something to shout about and that's why we're telling our customers — and theirs — about it. It's not how many masts you have; it's where you stick them."